Xinxiang is a modern city with an impressive skyline. The city is 360 miles south of Beijing and 48 miles north of Zhengzhou. Xinxiang covers 2940 square miles. Under its administrative control are ten cities, six counties, four districts, 153 townships, and 3,546 villages. It has a population of 5.2 million of which 700,000 live in the city proper. The city has a long history of some 1,400 years when it was established by the Sui Dynasty. 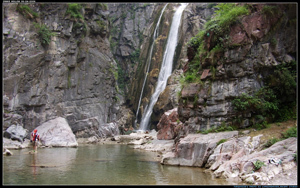 Xinxiang is both a city of beautiful parks and natural wonders. The natural resources are some 20 kinds, of which the main are cement stone, coal, chalk, refractory clay, barite (paint material and source of barium), marble, dolomite (ceramic material), Iceland spar (used in optical instruments), granite, iron, copper, and aluminium. Underground hot water resources are at a depth of 1600 feet. The daily automatic flow can reach 15,000 cubic meters at a temperature between 28C and 46C. This is the sports stadium for the city of Xinxiang. It is only one of the 1,000 facilities for cultural activities, entertainment, and sports. There are more than 600 medical care institutions, among which 3 hospitals are in the forefront for their medical treatment level and facilities. Eight guesthouses can accommodate foreign travelers and provide services at an international level.